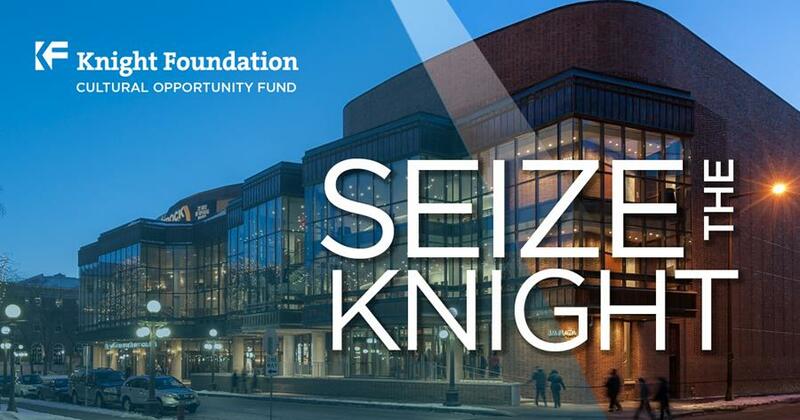 The Ordway Center for Performing Arts is tremendously excited to invite you – or the artist / arts organization you know and love – to apply to the Knight Foundation’s Cultural Opportunity Fund. The goal of the Fund is to make it economically feasible for small to mid-sized arts organizations and artists—with a focus on cultural and artistic diversity—to both rent the Concert Hall for an evening, and receive the net proceeds from the event. How it works: develop an idea for a concert, film screening, author reading or stage production – you name it, so long as it’s venue appropriate – and submit an application by October 1, 2017. All submissions will be evaluated by a panel of judges, and priority will be given to proposals from emerging and mid-range arts organizations and artists. New this year: awards will be based upon the size of an applicant’s annual budget. Artists and organizations whose budgets are less than $500,000 are eligible to receive a $5,000 subsidy, while larger groups can receive up to $2,500. The typical full cost to rent the Ordway Concert Hall for an evening is between $4,500 – $6,500. So depending on your production needs, you could rent our space for free. And here’s one of the best parts: you’ll get the net proceeds from the gate!